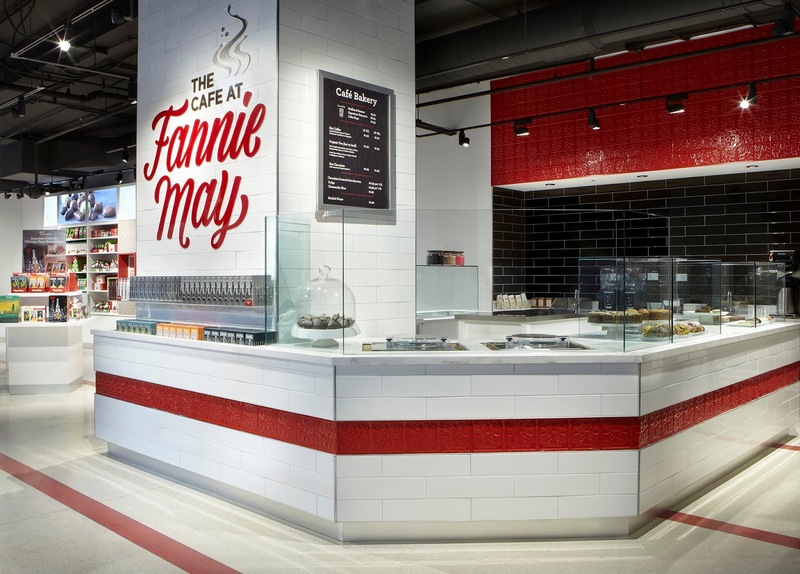 Chicago's favorite chocolate company, Fannie May, recently unveiled a newly remodeled concept for its flagship retail store at the corner of Michigan Ave. & Wacker Dr., which will provide expanded opportunities for guests to experience the beloved Chicago brand. As part of the new concept, Fannie May is introducing “The Café at Fannie May,” which will serve exclusive desserts inspired by the many classic candy flavors and Fannie May iconic flavored coffees, including Pixies and Vanilla Buttercream. Ice cream, including milk shakes, cones and sundaes, and chocolate covered strawberries will also be available at the flagship retail store. The remodeled store also features new design elements illustrating the company's 95+ year connection to Chicago and pays tribute to the strong Chicago architectural heritage. Tomorrow is the store's Grand Opening and to celebrate, they'll be giving free Advent Calendars to the first 50 customers with their purchase. The store opens at 8 a.m.